Turmeric Essential Oil. A Magical And Powerful Healer. Turmeric essential oil.......where do you start with the magical benefits that turmeric brings. It is such a powerful healer. It is packed with rare compounds with curcumin being the active ingredient. It helps with arthritis and joint pain, anxiety and stress and is now known to have properties that can help fight against certain types of cancer. Turmeric has relaxing and balancing properties, but also can be energising. Turmeric is probably most well known as a spice used in Indian cookery - in fact its use has been traced back to nearly 4000 years ago to the Vedic culture in India. It is sometimes called the 'natural aspirin' in Ayurvedic medicine. It took me a while to discover turmeric essential oil, but now I wouldn't be without it. It is best known as an anti-inflammatory, but it is also great for alleviating muscle pain, so I often use it with sports people as part of a massage blend. Anti-allergic, antibacterial, antimicrobial, antifungal, anti-inflammatory, anti-oxidant, anti-parasitic, antiviral and antiworm. It is also considered to be good antivenom. A balancing, relaxing oil invaluable for stress and anxiety. It's anti-inflammatory properties helps provide relief from muscle pain. It can help lower blood glucose levels and reverse insulin resistance. Useful for arthritis and joint care. Great for the digestive system and reducing gas. Turmeric and turmeric oil are now known to have anti-cancer properties. This oil can also help support the liver. The essential oil is often used in oriental scents and perfumes. Great for helping to ease symptoms of the common cold. Turmeric oil is thought to help with hair loss. It is thought to help with blood circulation. Can help with the healing process of skin. An amazing oil for natural skincare formulations, especially anti-ageing products. This is because of for its anti-oxidant and anti-inflammatory properties which are thought to help make you look younger......so is this the key to the 'Fountain of Youth'! It is also especially useful for skin that has been sun-damaged. 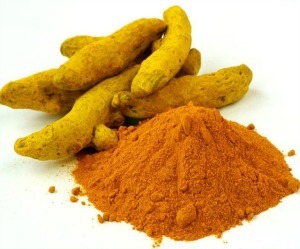 The active ingredient curcumin has shown to be quite helpful in calming the symptoms of eczema, psoriasis and rosacea. Pregnant women should seek medical advice before using turmeric essential oil. People with gall bladder problems or kidney stones should avoid this oil. People on blood thinning medications should avoid this oil. This oil is phototoxic (makes your skin more likely to burn), so ensure that formulations contain less than 1% if planning to go out in the sun within 24 hours. Always dilute with a carrier oil before applying to your skin. Use as a steam inhalation for the common cold. Put a few drops in a diffuser/burner to help calm you down if you are feeling stressed or anxious. Blend with a carrier oil and rub into your muscles and joints to relieve pain. Put a few drops in a hot bath to help relieve stress or fatigue. It's a good idea to mix the drops in a small amount of milk first (essential oils mix better with fats) and then add! Turmeric is used as a natural colourant by soapmakers. The turmeric plant was called Indian saffron during the Middle Ages because of its orange-yellow color.